23 | June | 2015 | Troy C. Wagstaff aka CallahanWriter Blog: Topics of interest include Western Historical (1865-1899) Topics. Additionally inspirational Christian and Fibromyalgia interests. I just heard about men’s health month today and I realized that as a man with health problems and since it is still June, why not contribute to the men’s health discussion for Men’s Health. Fibromyalgia is an illness that men suffer from. It is not just a disease for women only. Since I have something to say about men’s health I will try to take advantage of my position of long experience with fibromyalgia, chronic fatigue and traumatic brain injury. 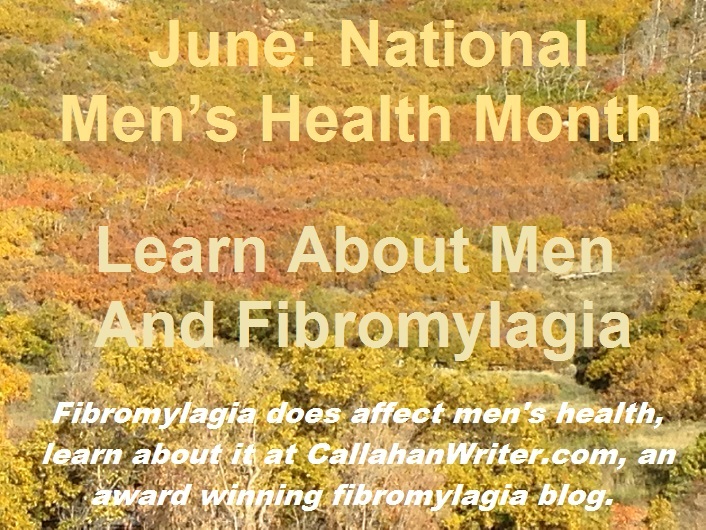 Most of what I have to say about men’s health is related to one of the diseases of the central nervous system called fibromyalgia. If anyone is paying attention, fibromyalgia is currently reported as predominately a woman’s disorder. Many experts suggest that this is because it is under reported by men. For whatever reason, men do not complain about it as much or go to the doctor as much as women do regarding the symptoms of fibromyalgia. This may be true, but if it is true, it would only account for a small percentage of men. If men had the chronic pain I have had and still have, they would be sprinting for the doctor’s office to find out what’s wrong. But let me tell you my dear reader, that millions of men suffer from fibromyalgia around the world and through America. My award winning blog on fibromyalgia has been read in over thirty countries on every continent. It’s not just a health care concern in America. 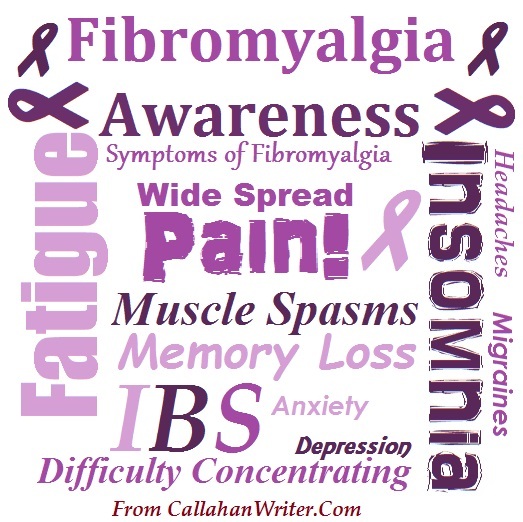 My blog about fibromyalgia is CallahanWriter.Com. For my blog, I write about fibromyalgia, chronic fatigue and related symptoms from a guys perspective and I write about these symptoms in general for both genders. Most symptoms, both genders can relate to. The emotional side of fibro between men and women are surprisingly the same in many areas, yet, of course, different in some areas. I have some posts that are unique to men like The Day In The Life Of Fibroman and What’s it like to be a guy with fibromyalgia. I have written a detailed story about my personal experience with fibromyalgia and the thirty-one years that I have had it. My 31 Year Journey With Fibromyalgia. Some of the symptoms of fibromyalgia are widespread chronic pain that afflicts joints, and the pain may also affect major and minor muscle groups. Fibromyalgia also causes cognitive disorders, body temperature disorders, coordination problems chemical and light sensitivities and the list goes on. Some experts believe that rather than go to the doctor, many men with self medicate with alcohol or drugs. That is never a good idea. These experts report that self medication will make the symptoms worse over the long haul. There are many other symptoms to fibro in addition to the pain. Chronic fatigue. This is where you do not have energy for anything. You can be tired all day or the fatigue can be so bad that you sleep all day or nap for hours on end every day. Fibro Fog is where your cognitive skills that you take for granted go out of whack. Your memory is affected, you forget things, you forget names, you can get disoriented and the list goes on. You can lose some coordination in your motor skills, your extreme limbs can develop neuropathy and they can develop tremors. The problem is that so many symptoms can be presented that it is easy to diagnose other illnesses based on the symptoms, but when this happens you never feel fully satisfied with the diagnosis. There is always something popping up. Fibromyalgia is typically a diagnoses of exclusion, which means you need to rule out Lyme’s disease, MS and other similar illnesses with similar symptomology. When you get a proper diagnosis, then each symptom can be treated appropriately with respect to the other symptoms. When I was first officially diagnosed with fibromyalgia, there was little written about it on the internet. Now there are countless words used to document it. There is a lot of garbage written about fibro and there are as many cures as there are peddlers wanting to sell their wares. Don’t get fooled by them. It is a disease of the central nervous system, from your brain to the tips of your last nerve endings. There is no known cure. The best we can have as victims of fibromyalgia is to treat each bothersome symptom. There is no known cause of fibro but there is a lot of similar speculation that traumatic brain injury like concussions and other serious bodily injuries or past mentally traumatic incidents can cause fibromyalgia. I have had more than five concussions and several body wide injuries in my life before fibro symptoms manifested themselves. There is a possibility that those are valid conceptions, but it is still too early to say for sure. If you are a guy with fibro, what is your story? How has fibro affected you? If you know a man with these types of symptoms forward this post or URL to them. 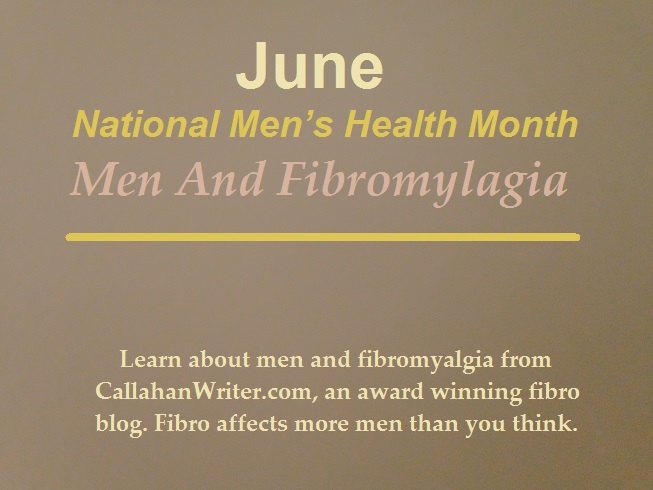 Men need the help that is out there for fibromyalgia. My blog covers how fibro affects me and about the issues of fibro in general. The blog is for men and women. I have decades of experience with fibro and I feel I have a lot to share by experience to the discussion on fibromyalgia. Feel free to follow this blog so you can a notice when new posts occur so you don’t miss anything.